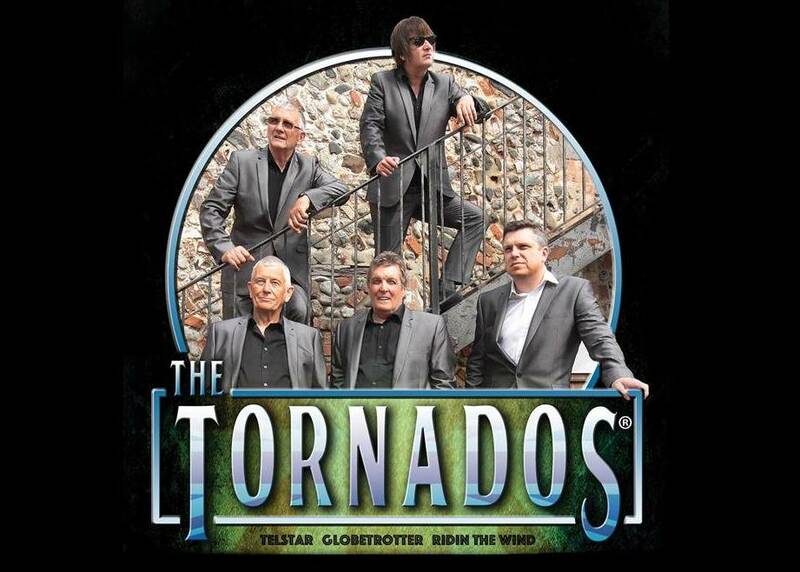 The Tornado's are the sixties legends featuring sixties Tornado organist Dave Watts. Famous for instrumentals such as Ridin' the Wind, Globetrotter and course the huge hit 'Telstar'. The band also cover the vocal period that the group famously backed, such as Heinz, Billy Fury, Jonny Leyton etc. Dave Watts toured with Billy Fury, Heinz and also Cliff Richard and was a part of the Geno Washington band. The Band also includes guitarist Shaun Corrigan from the sixties chart toppers the ' Symbols' (the best part of breaking up, Bye Bye Baby); Pete Gill on bass from sixties band 'The Rebounds; vocalist Jamie Thurston, who has performed many stage show from ITV’s Heartbeat to ' This is Elvis' stopping off at the West End; Tristan Long on drums - Tristan has gigged with many icons throughout the years, with acts like Midge Ure, Deacon Blue, Gareth Gates, Fortunes, Foundations to name but a few. The live show includes authentic equipment and suits and video projections capturing the wonderful days at Joe Meek (the 'Tornados' infamous record producer) flat in Holloway road.